I thought I’d follow the beautiful Penhaligon’s fragrance from earlier today with some equally beautiful makeup for you to feast your eyes on this evening. 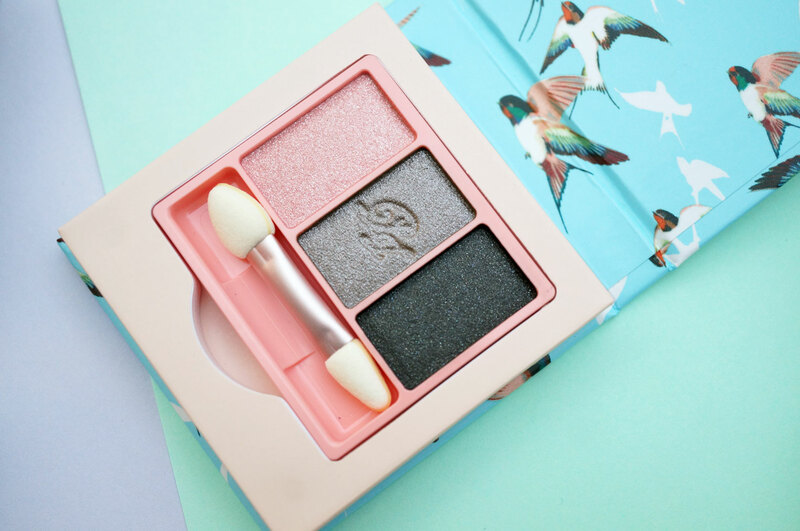 The Face & Eye Colour Palette (£25.00) is easily the stand out product in the limited edition SS17 collection. 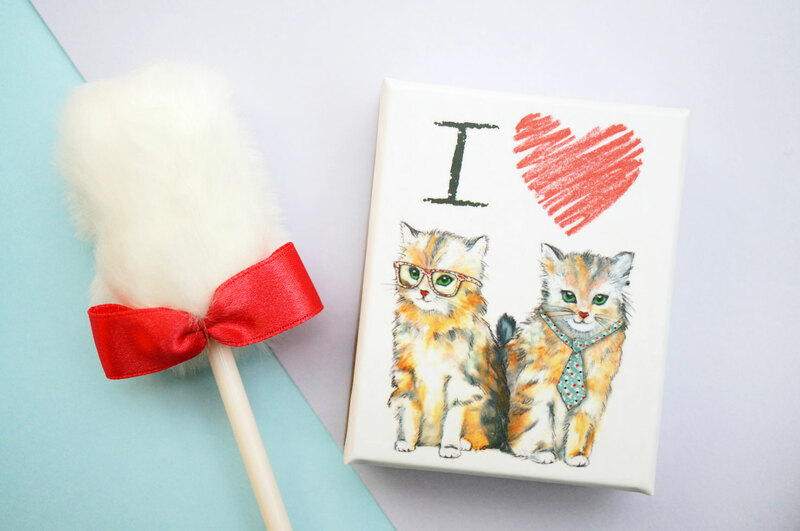 I wasn’t really sure what it was exactly when I saw the outer packaging which said ‘Eye and Cheek CS’, but on opening it up I found literally THE CUTEST little box inside, with the sweetest cat print on top, and a pouffy ‘cat paw’ applicator on a stick, adorned with a sweet little bow. I mean these cats are wearing glasses and ties, what’s not to love!? 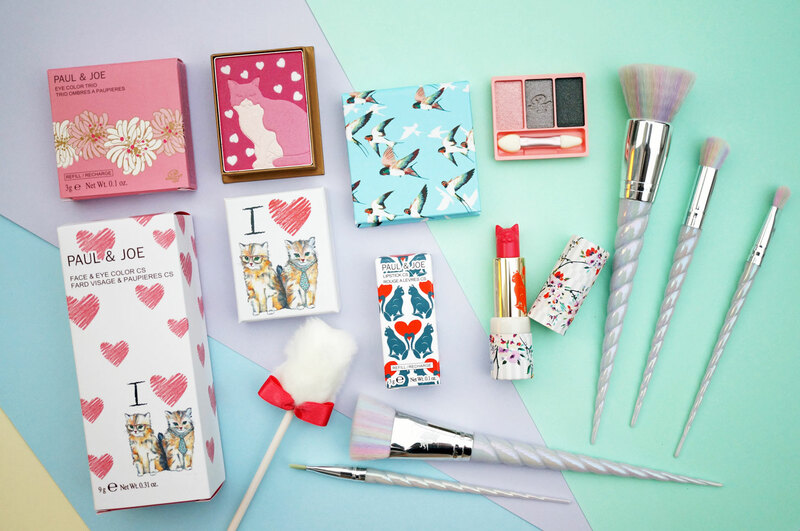 This is most definitely the most adorable makeup product I’ve ever seen. 107 Smitten Kitten – Terracotta and deep rosy red. 108 Poupounette – Shimmering orange bronze and pink. 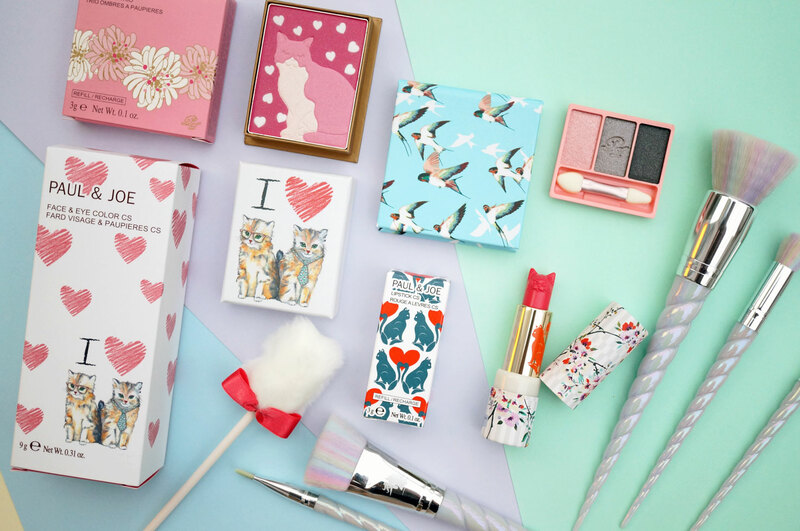 109 Mon Petit Chat – Bright and dusky pinks. Fans of the brand will know that Paul & Joe are ALL about the cats. 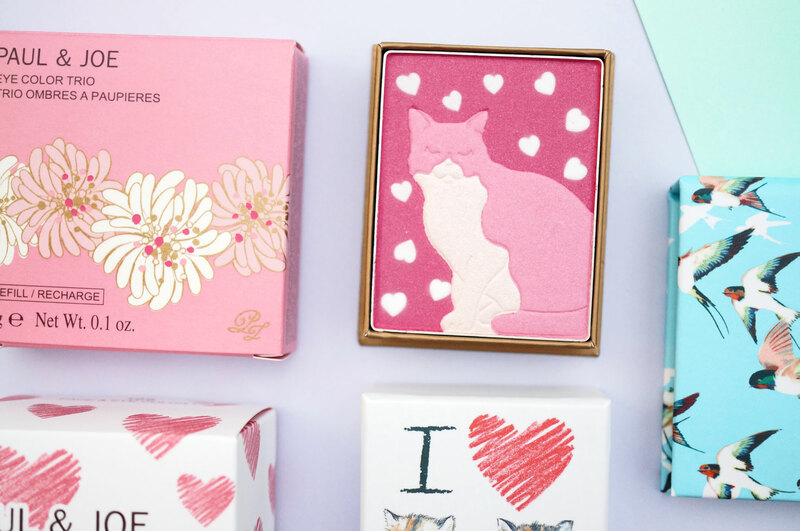 Cats and flowers and cute quirky patterns. 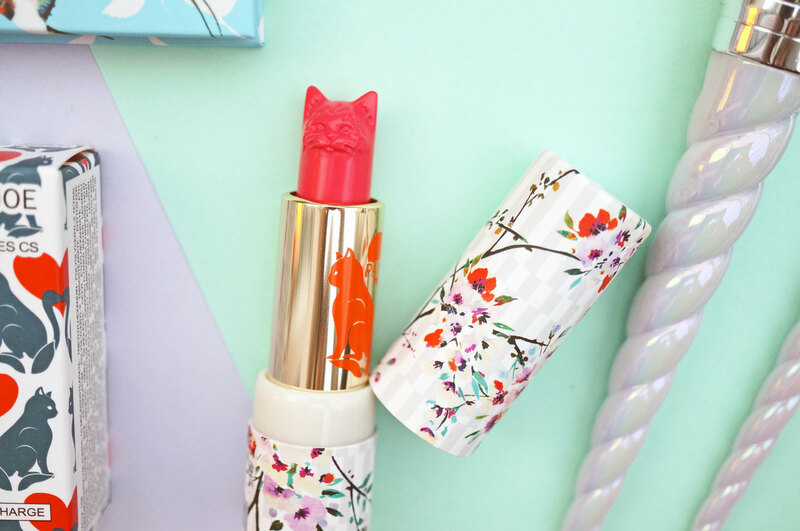 And their cat head lipsticks are definitely another must have product. I should also mention here that many of Paul & Joe’s products come in separate parts and are interchangeable. So for the lipsticks you can buy individual outer cases with separate lipstick bullet refills, and mix and match as you please. 103 Russian Blue – Clear coloured lipstick that turns slightly different shades of pink on different skin. 104 Persian Pink – Bright pop of pink. Mon Prince – Naturals, light pink, purple and red brown. Mon Nounours – Salmon pink, gunmetal and black. Mon Coeur – Golden sand, bright light pink and deep pink. Floral – White and grey stripes with a floral pattern. Swallows – Swallows on a light blue background. Bold Flowers – White with a black, red and blue floral design. Paul & Joe Cosmetics are available at Beauty Bay and ASOS, and both sites have sales on Paul & Joe right now so make sure you take a look!